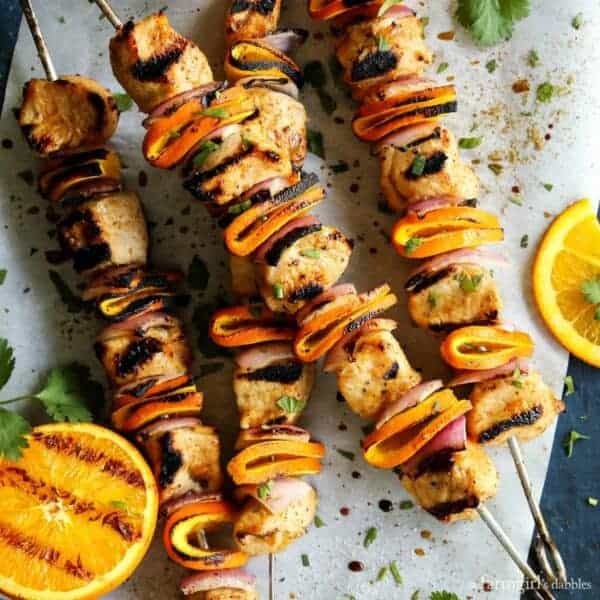 You’ll love how the bold flavor of chipotle meets the fresh, sweet flavor of orange in this recipe for Grilled Chipotle Orange Turkey Kebabs! This spring has felt all askew. First off, it felt like we had more spring-like weather in February and March than we’ve had in May. There have been a few sunshiny days this month, but most of it has been dreary, chilly, and rainy. We usually have our garden planted by now, and I haven’t even opened up the garden gate! Second, we’ve had home improvements going on since March, living in a constant state of mess and surrounded by gallons and gallons of paint. And third, our girls are getting out of school earlier than usual, on the last day of May. They have always gotten out about a week or so into June, so this is definitely something new for us. But there is one thing that does feel normal this spring. And that’s the increase in our grilling. We tend to grill almost daily from April/May through October/November, so that means I need to keep the menus fresh. We have plenty of old favorite grilling recipes, but are always mixing new ones in. 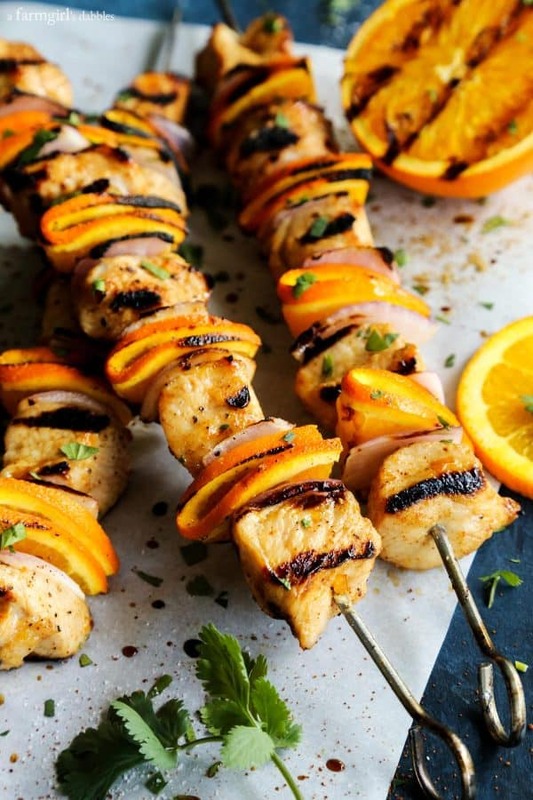 These Grilled Chipotle Orange Turkey Kebabs were an instant hit with our family this spring. 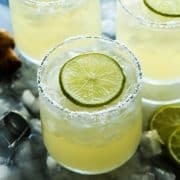 I foresee them on our menus all summer long! 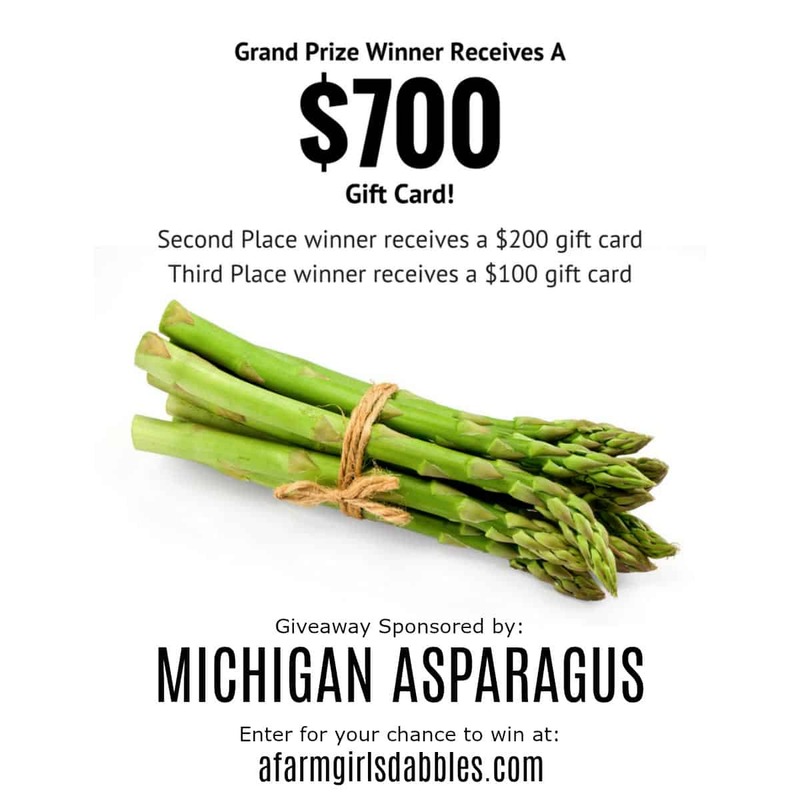 * This is a sponsored post, created in partnership with the Minnesota Turkey Growers Association. 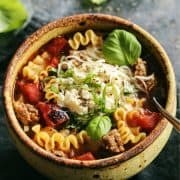 I incorporate turkey into our menus weekly, usually in the form of ground turkey. And Blake likes to smoke whole turkeys on the Big Green Egg. >>SO GOOD! !<< But we haven’t been great about adding turkey to our repertoire of grilling recipes. Well I’m set to change that. Starting immediately! 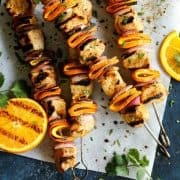 These grilled chipotle orange turkey kebabs turned out so moist and flavorful (and not to mention PRETTY), why wouldn’t I? June is right around the corner, and it’s also Turkey Lovers’ Month. 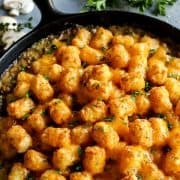 I wanted to kick off the turkey celebration just a bit early, to get this recipe to you before this upcoming Memorial Day weekend. You WILL be grilling, right?! Living in Minnesota, I’ve always known that our state is big on raising turkeys. But I did not know that Minnesota ranks No. 1 nationally, with 450 turkey farm families raising 46 million turkeys each year. Many of these farmers are 3rd, 4th, and even 5th generation turkey farmers, and are passionate about raising wholesome and quality turkey for consumers. I serve turkey to my family not only for its versatility in meal planning, but also because it is naturally low in fat and packed with lean protein. Turkey also provides immune-boosting nutrients like iron, zinc, and potassium. And rest assured – because this subject always seems to come up – poultry raised in the United States is free from added growth hormones and steroids (the FDA has deemed these illegal since the 1950’s). Many cuts of turkey are perfect for the grill – drumsticks, breasts, cutlets, and tenderloins. And turkey is extra delicious when layered with bold, rich flavors. In this recipe, the bold flavor of chipotle meets the fresh, sweet flavor of orange. I love how the thin orange slices soften and char on the grill, adding a layer of smoky, juicy texture and flavor to the tender grilled turkey. I’ve learned to grill a few extra pieces of orange, as our girls just can’t get enough. I recommend you do the same! In a medium-large bowl, combine marmalade, 2 tablespoons of the olive oil, chipotle powder, and cumin. Add turkey pieces and fold to combine. Add onion pieces to a small-medium bowl and drizzle with remaining tablespoon of olive oil. Fold to coat evenly. Add turkey, onion, and thin orange slices to skewers, alternating between each one. When adding the orange slice, fold each half-round in half, sandwiching it between the other pieces. Sprinkle finished kebabs with salt and black pepper, to taste. Place turkey kebabs on hot grill grates and let cook for 4 to 5 minutes, until beautifully charred. Turn the kebabs over and continue to cook for another 4 to 5 minutes. If your turkey pieces are larger or smaller, cook time will vary accordingly. 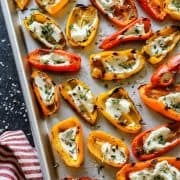 Place cut sides of orange halves on clean, hot grill grates and cook until charred. Be careful to not move the oranges around too soon or you will risk tearing the orange flesh without attaining a char. Remove turkey kebabs and orange pieces to serving platter and serve hot. 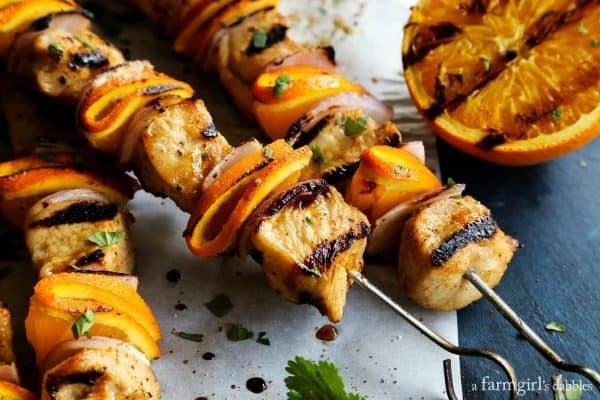 Squeeze grilled orange over kebabs right before eating. For more information about the Minnesota Turkey Growers Association, including recipes and nutritional information, visit their web site. Also find them on these social media channels: Facebook, Twitter, and Pinterest. Join in on the conversation using #ServeTurkey and #TryTurkey. This post is sponsored by the Minnesota Turkey Growers Association. Living in Minnesota myself, I am especially honored to be partnering with them for Turkey Lovers’ Month. All opinions are 100% my own, as always. Thank you for supporting the brands that help make this site possible! You always make the most beautiful kabobs!! I haven’t had kebabs in age! I definitely want to try these. These look and sound amazing, Brenda! 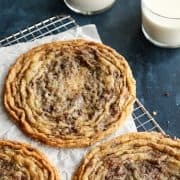 WOW, these are a must-make this summer!! 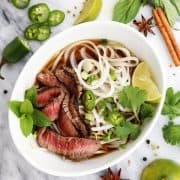 These are so beautiful and sound so packed with flavor!! 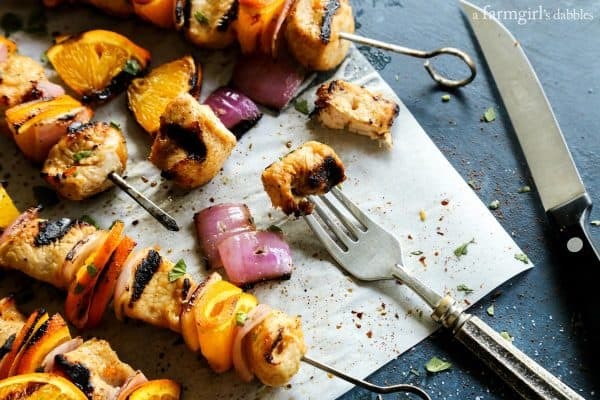 Kebabs are such a fun summer recipe! I bet these have great flavor. 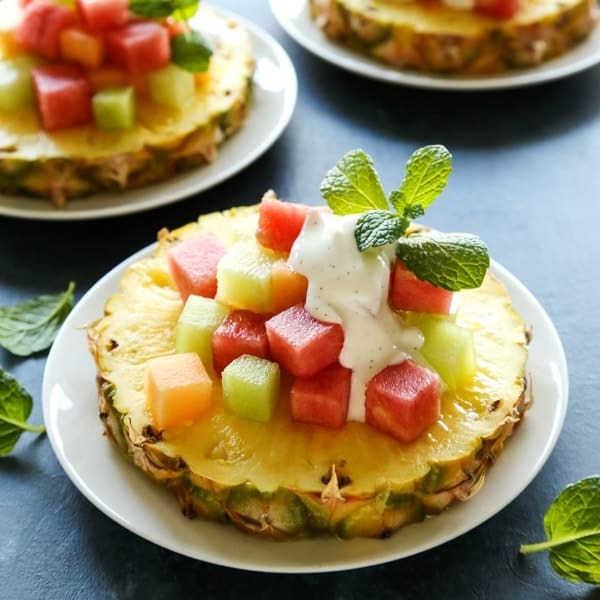 Grilled pineapple is one of the best things in the world so grilled orange seems like a natural and delicious progression – you’re genius for thinking of it. 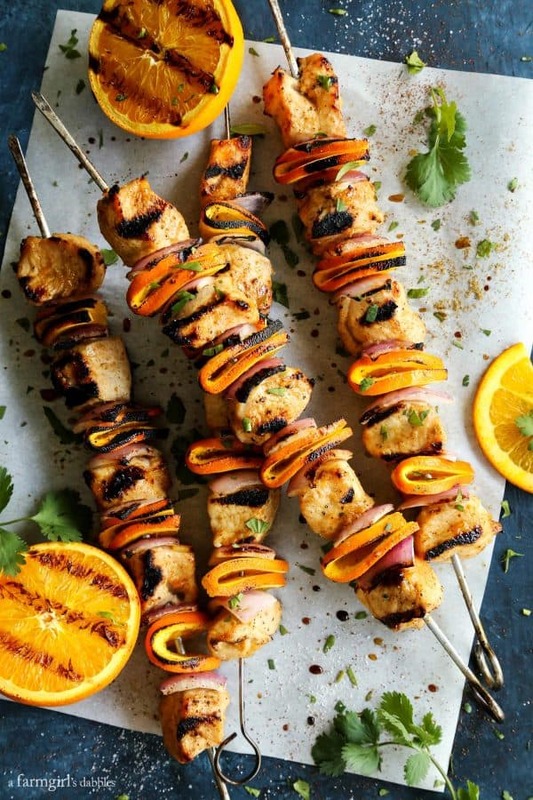 These kebabs look like killer summer fare! I absolutely don’t eat enough turkey. Such a great recipe to remedy that. Thanks Brenda! I have never thought to “kebab” turkey – only chicken! 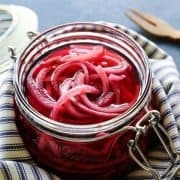 This is BRILLIANT and I can’t wait to try it! I’m pretty sure you’re going to love it, Taylor!! SO flavorful and yummy!!! Perfect for Memorial Day weekend AND for grilling all summer long!! You can bet we’ll be serving them until the snow falls! I love the combo of turkey and orange. And the kebabs are so colorful. Like your Dad says, you eat your food with your eyes first. How have I never tried a turkey kebab?? We do chicken ones all the time, so I’m always looking for fresh new ideas. This sounds perfect! I know. RIGHT?!! Thanks, Erin!